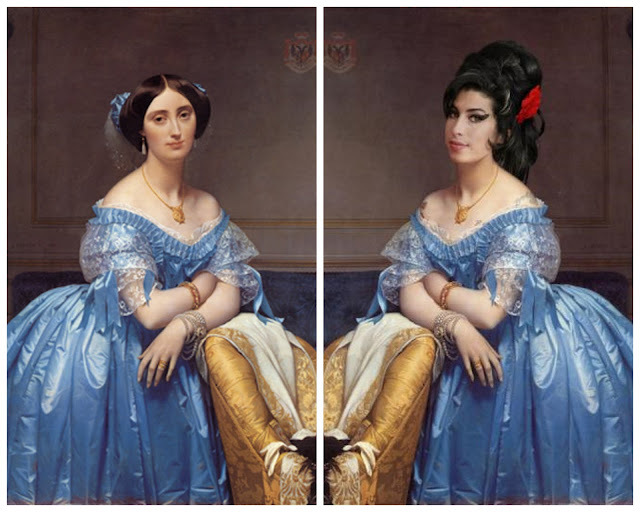 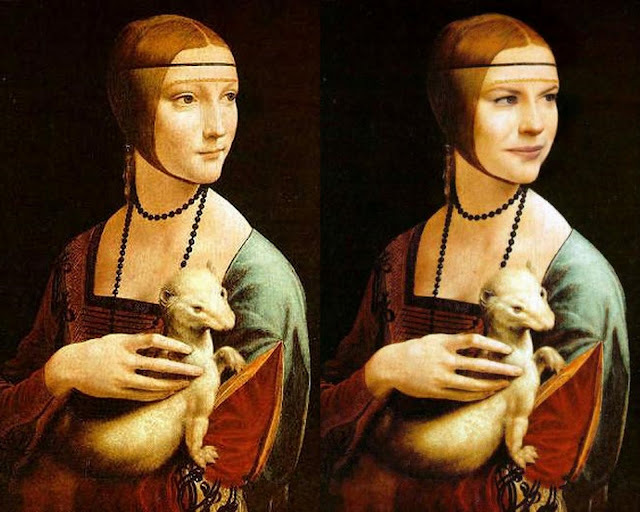 July 2009, The New York Post ‘Page Six’ has released a slide show featuring celebrity mash-up masterpieces.This slide show has several of the hottest celebrities of our time re-vamped to look like a classic masterpiece painting. 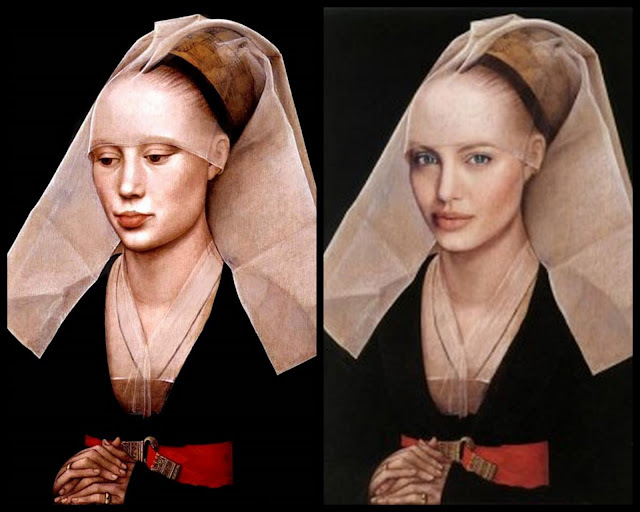 Angelina Jolie as "Portrait of a Lady" by Rogier van der Weyden. 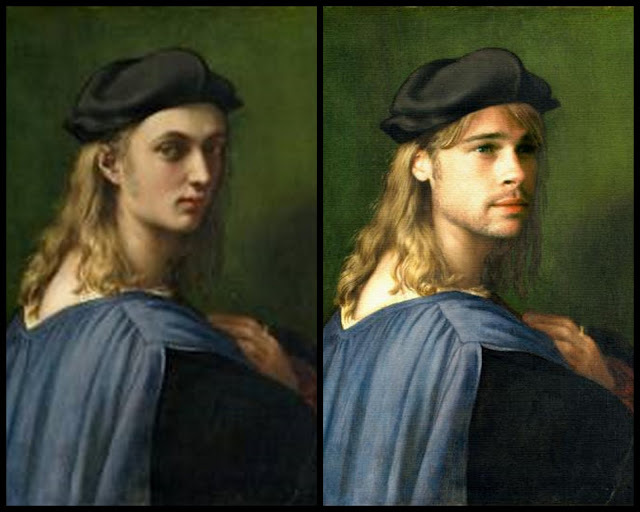 Brad Pitt as "Bindo Altovit" by Raphael. 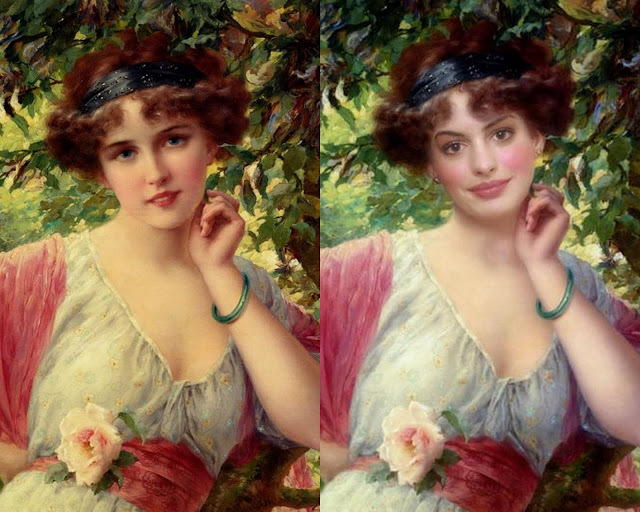 Anne Hathaway as "A Summer Rose" by Emile Vernon. 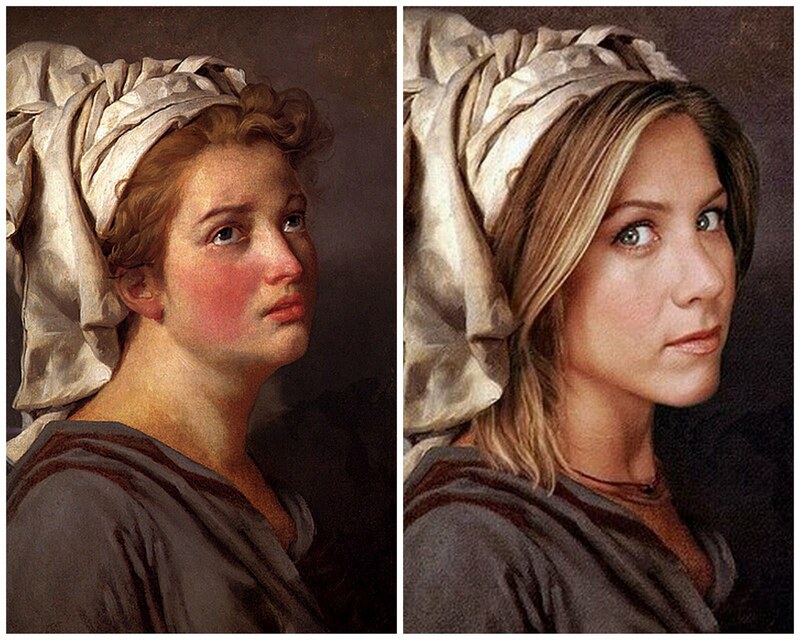 Jennifer Aniston as "Young Woman with a Turban" by Jacques-Louis David. 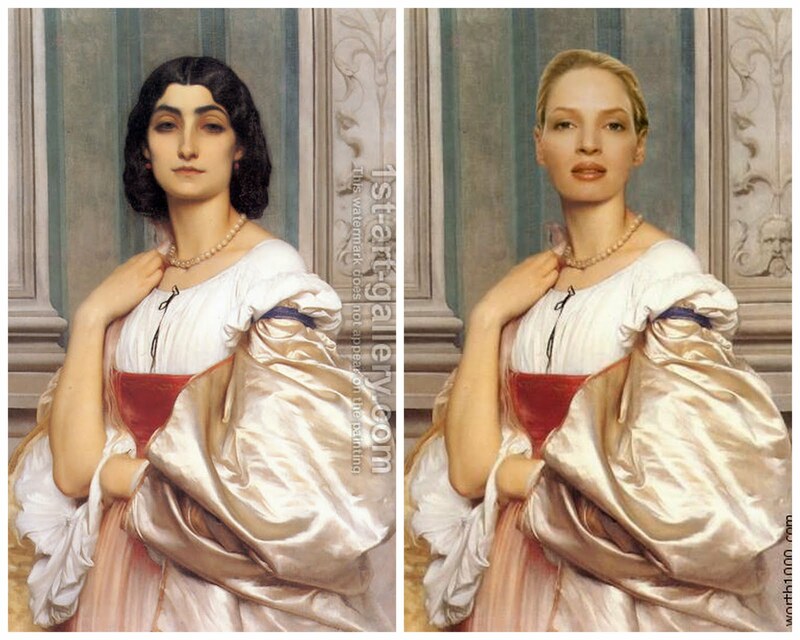 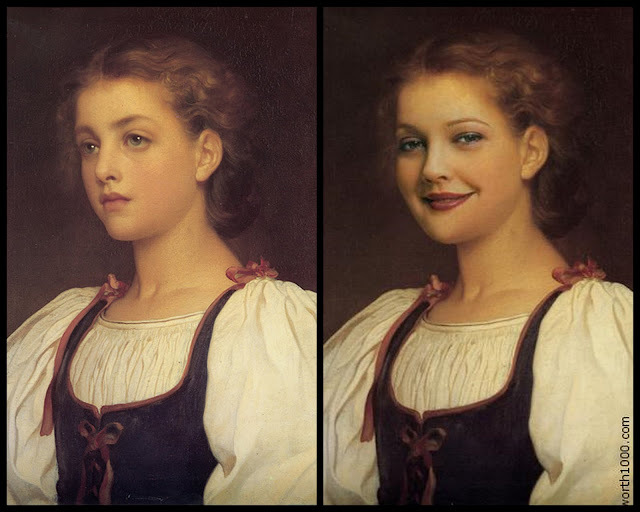 Drew Barrymore as"Biondina" By Lord Frederick Leighton. 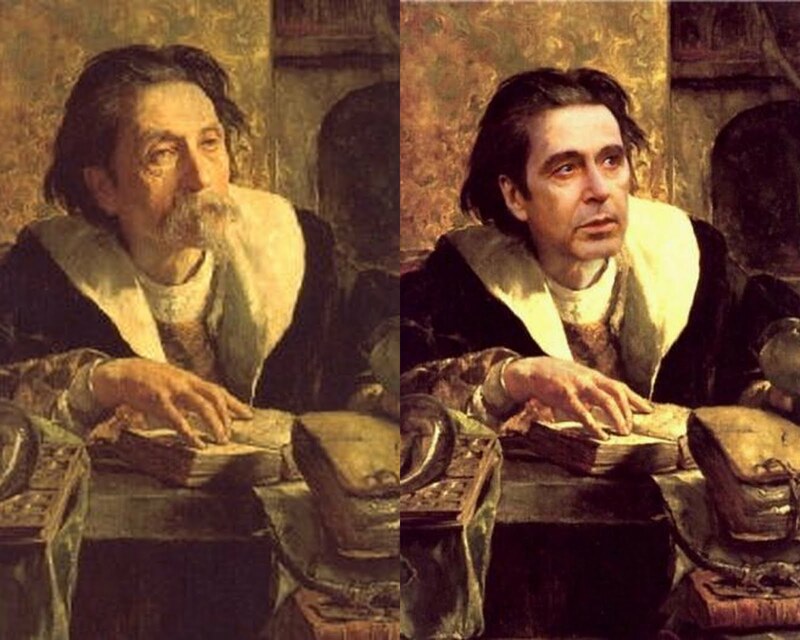 Al Pacino as by "The Alchemist" Leon Brunin. 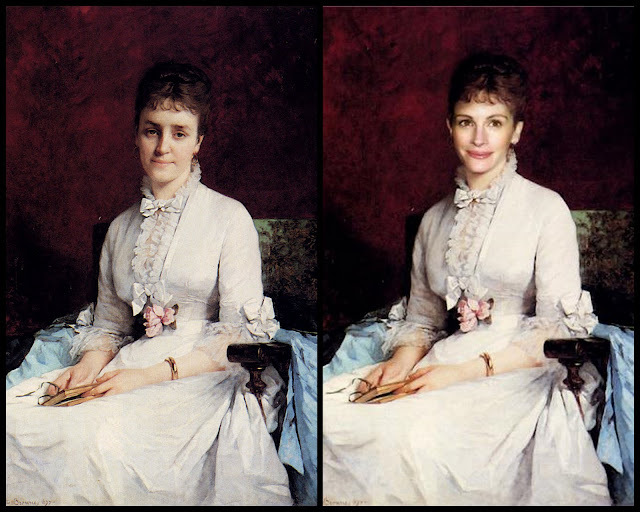 Julia Roberts as "Portrait of a Lady" by Henriette Browne. 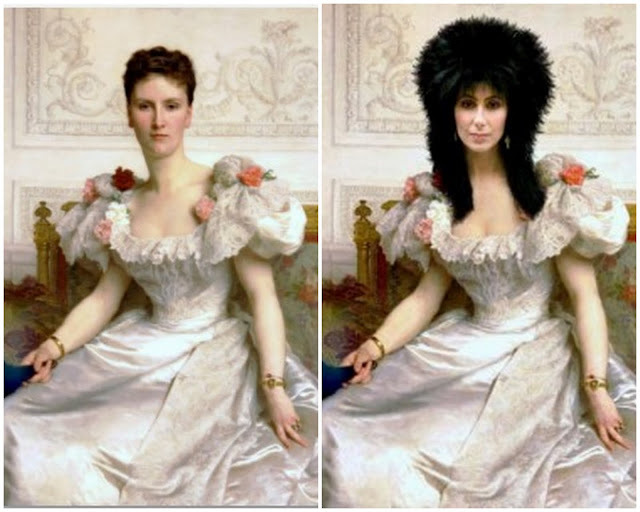 Cher as "La Contesa de Cambaceres" by Adolphe William Bouguereau. 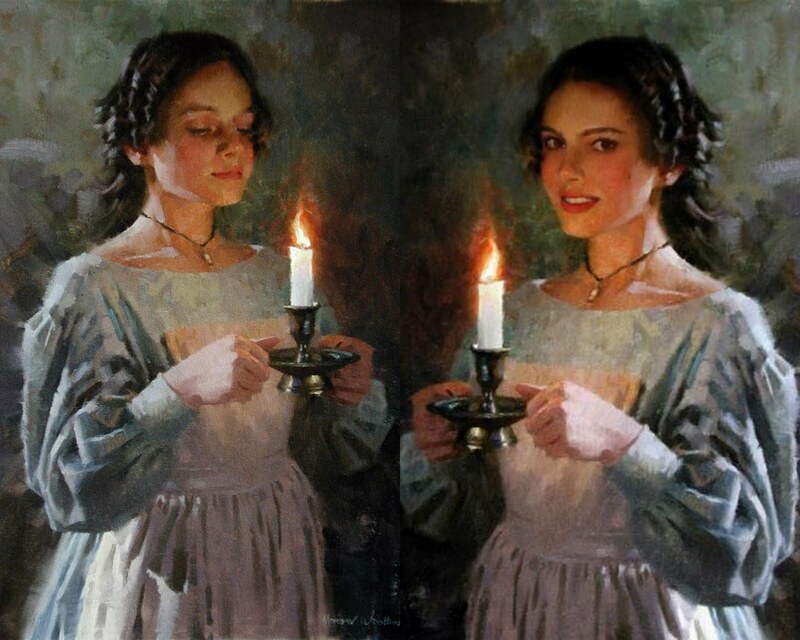 Natalie Portman as "Illumination" by Morgan Weistling. 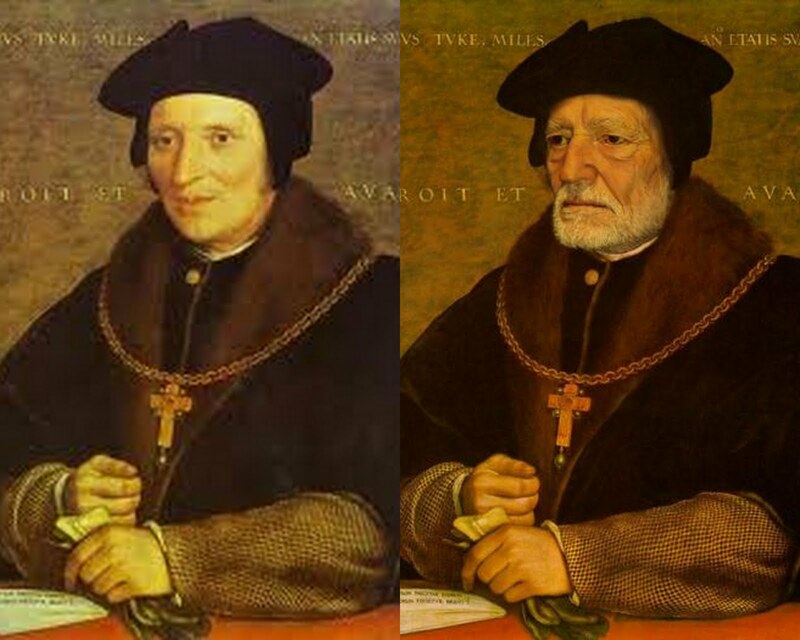 Willie Nelson as "Portrait of Sir Brian Tuke" by Hans Holbe in. 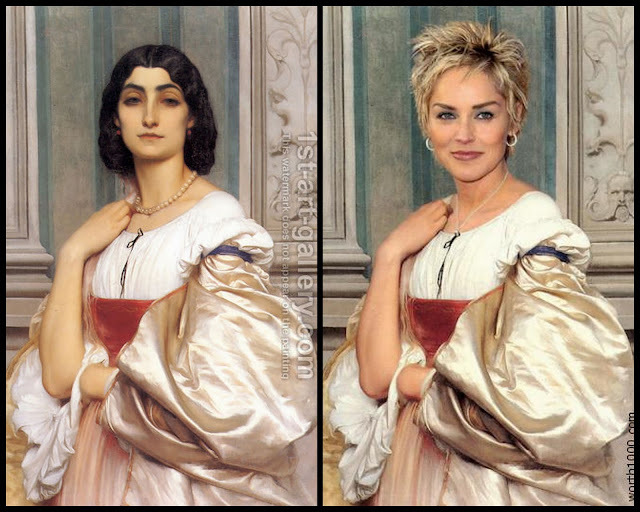 Sharon Stone as "A Roman Lady" by Lord Frederick Leighton. 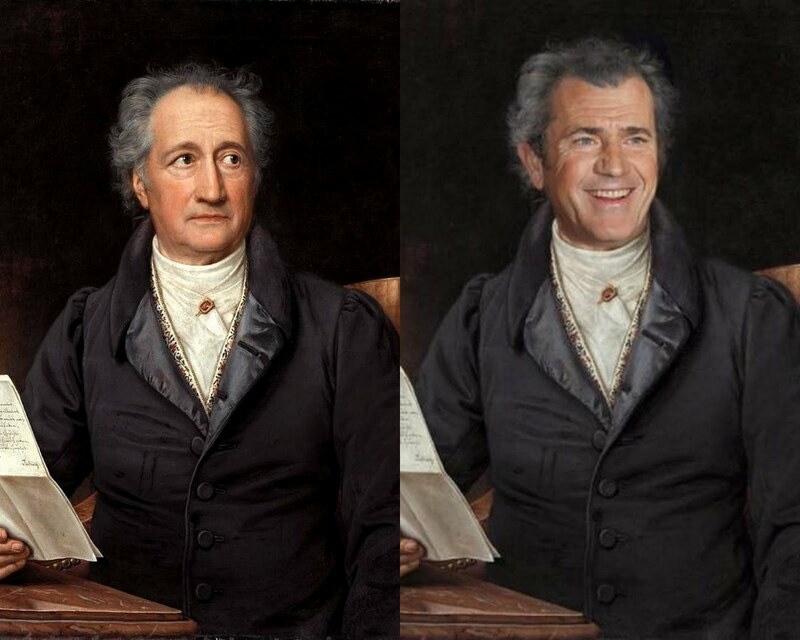 Mel Gibson as "Josef Stieler" By Johann Wolfgang von Goethe. 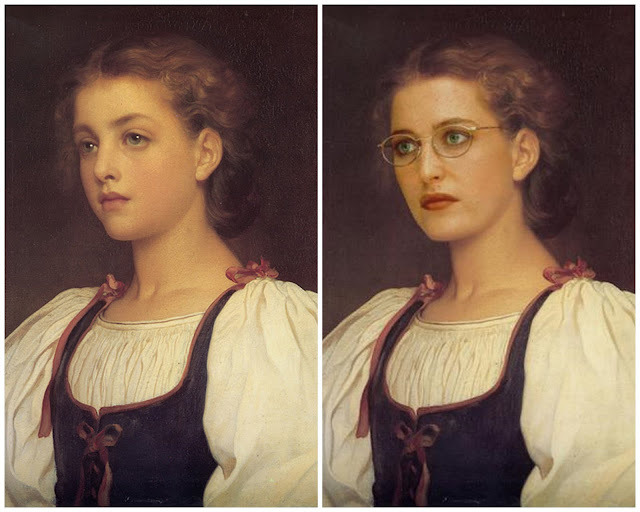 Gillian Anderson as "Biondina" By Lord Frederick Leighton. 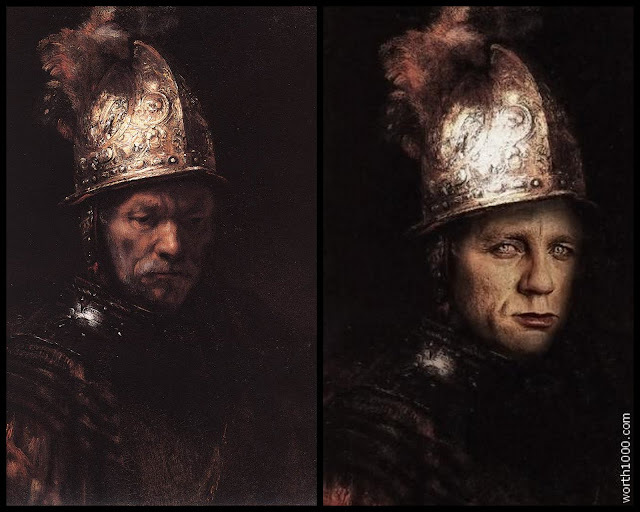 Daniel Craig as "The Man With the Golden Helmet" by Rembrandt Van Rijn. 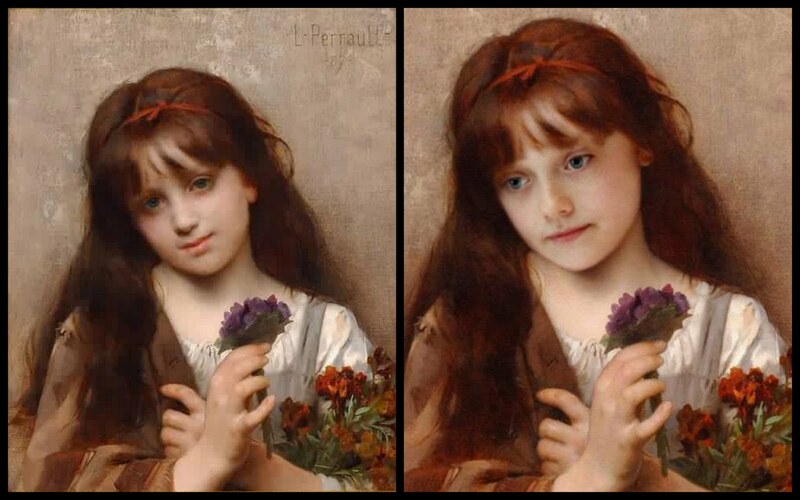 Dakota Fanning as "The Flower Vendor" by Leon Bazile Perrault. 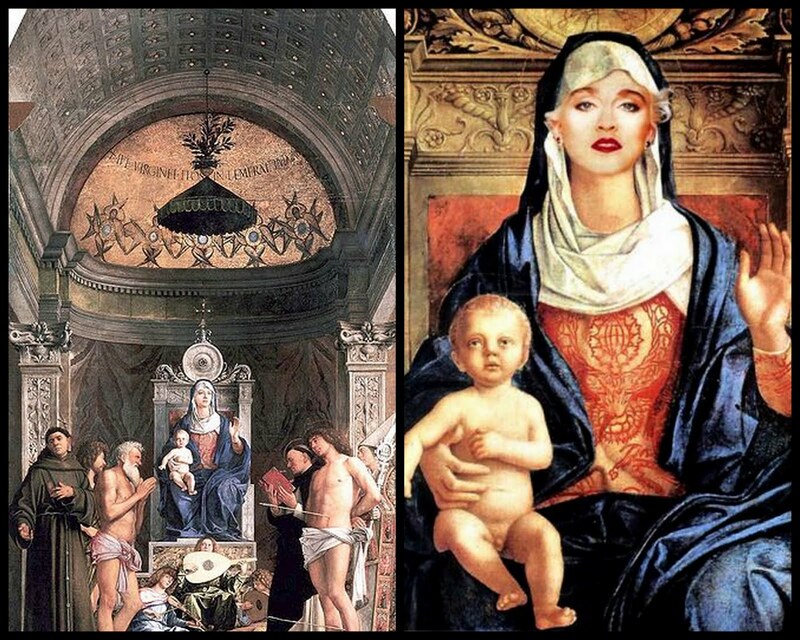 Madonna as "Madonna with Child" by be llini. 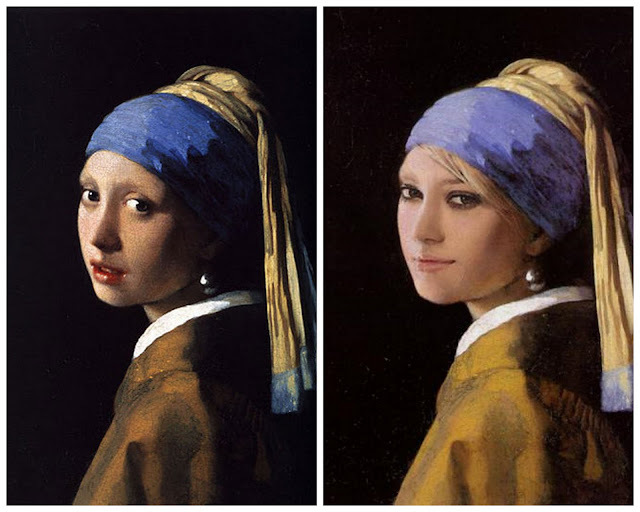 Scarlett Johansson as "Girl with a Pearl Earring" by Johannes Vermeer. Nicole Kidman as "Lady with an Ermine" by Leonardo da Vinci. 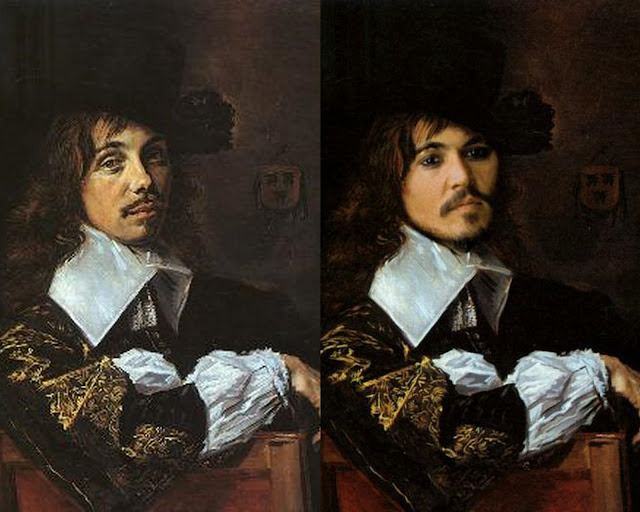 Johnny Depp as "Portrait of Willem (Balthasar) Coymans" by Frans Hals. 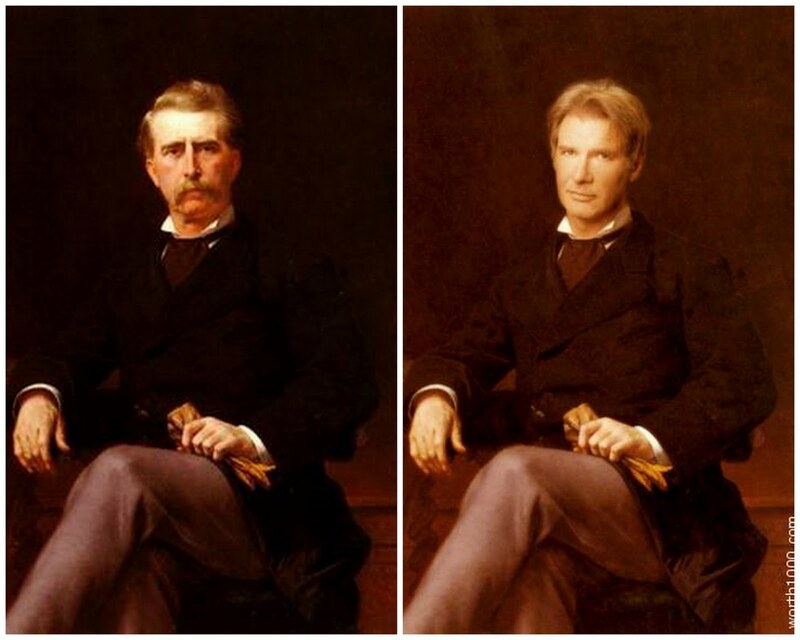 Harrison Ford as "Portrait de John William Mackay" by Alexandre Cabanel. 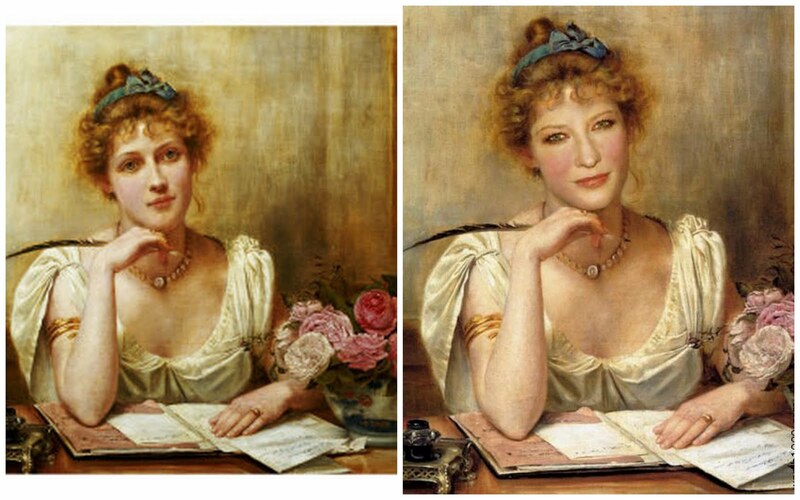 Cate Blanchett as "The Letter" by George Goodwin Kilburne. 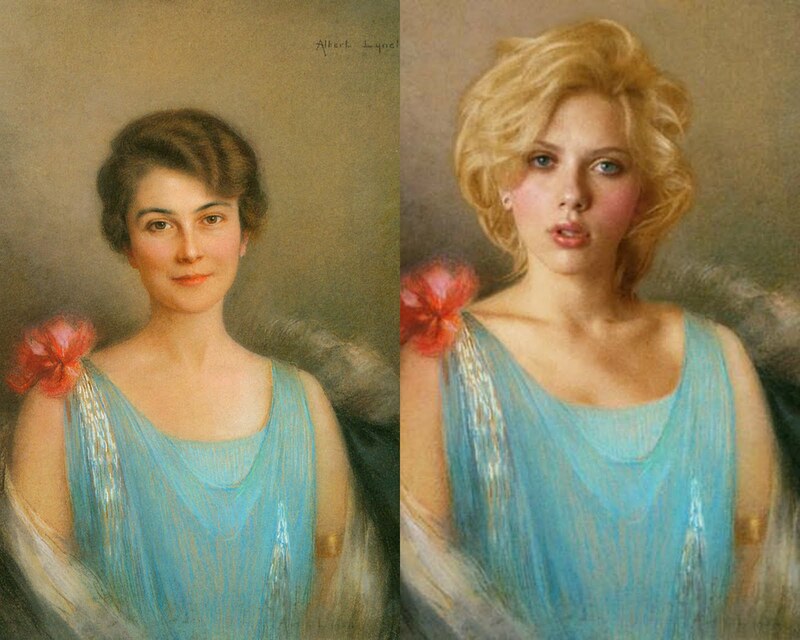 Scarlett Johansson as "A Portrait of a Lady in Blue" by Albe rt Lynch. 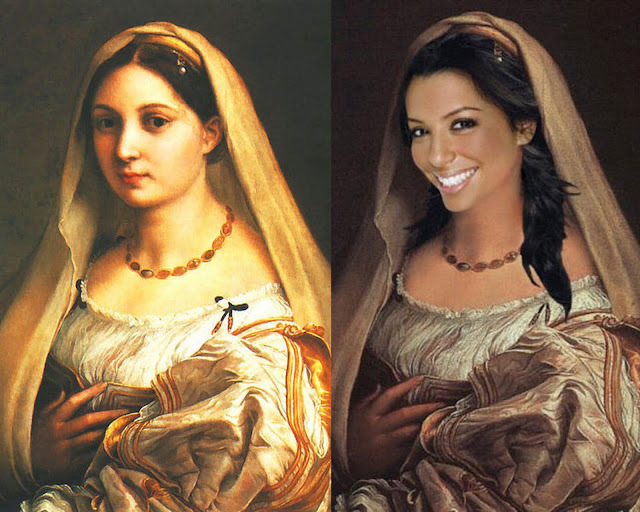 Eva Longoria as "The Veiled Lady" by Raphael.